Folks, I’ve been using this in the shop for years and finally decided to add it to the GW website. 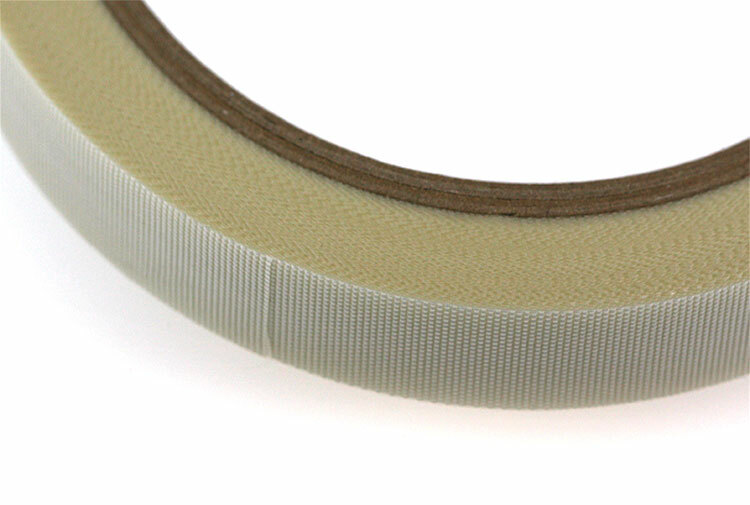 This is fiberglass tape, with adhesive on one side. It’s ½” wide and 18 yards long. And what, pray tell, are you going to do with it? Make custom arbors that are durable, that’s what. We all know the rodmaker who spins masking tape around skinny blanks, usually ultra-light graphite, to make three arbors which then center reel seat with a bore larger than the blank O.D. I’m one of those guys. I’ve done it. I shouldn’t have. Even bamboo rod restorationists will occasionally stumble across an old cane rod with a hollow, chrome-plated, brass seat which requires arbors when re-mounting it to the rod. But do you really think masking tape is going to hold up into the next generation? Of course it won’t, even when slathered with epoxy. That’s where this exceptionally durable tape comes into play. It helps you to make rods with heirloom durability. Spiral it down a section of the blank to take up a small amount of space, or build it up to make proper, individual, arbors. Slather that with epoxy and the seat will most likely fall apart before the arbors will. It’s not cheap, but one roll is going to last you a long, long time.